To be sold at auction on Thursday 28th February 2018. Auction to be held at Kingston Park Rugby Ground at 5pm. Property sold under unconditional auction terms and conditions. 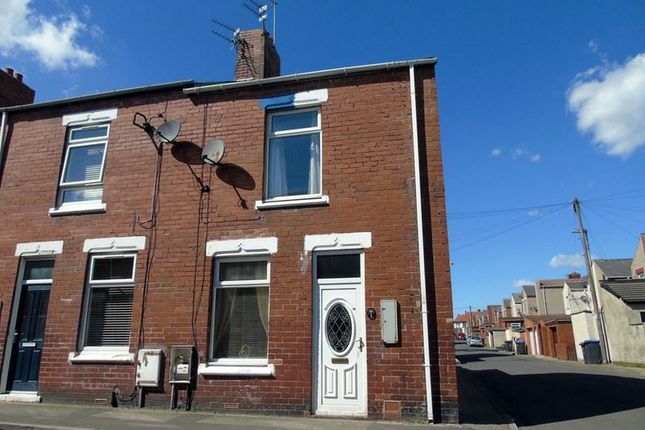 We offer to the market for sale this large two bedroom terraced house, benefiting from gas central heating and double glazing. Briefly comprising:- Entrance, lounge/dining, kitchen, family bathroom, 2 double bedrooms and amazing loft room. Double glazed windows, TV point, fireplace with mantel piece. Fitted with a three piece suite comprising: - Low level WC, paneled bath with shower over and pedestal wash hand basin.and a double glazed window. With a double glazed window overlooking the front of the property, build in storage cupboard. With a double glazed window overlooking the rear yard, built in storage and stairs to the 2 floor loft room.